In addition, Telushkin raises issues with ethical implications that may surprise you, such as the need to tip those whom you don't see (Day 109), the right thing to do when you hear an ambulance siren (Day 1), and why wasting time is a sin (Day 15). Whether he is telling us what Jewish tradition has to say about insider trading or about the relationship between employers and employees, he provides fresh inspiration and clear guidance for every day of our lives. 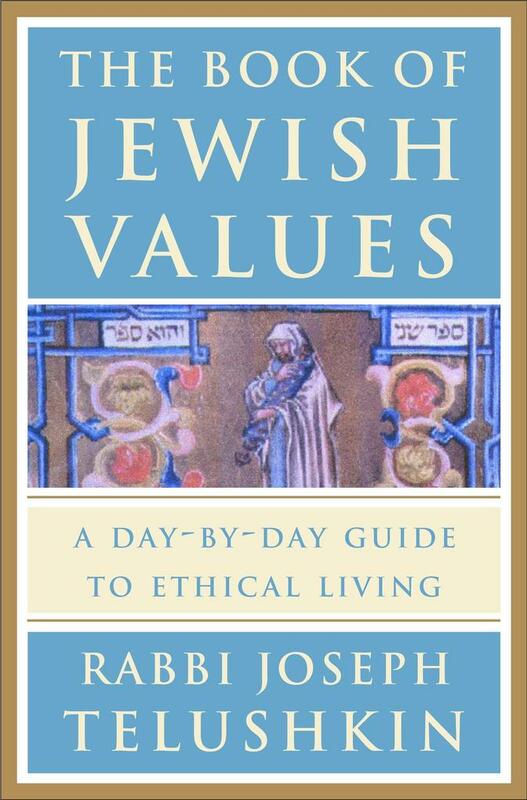 Rabbi Joseph Telushkin, spiritual leader and scholar, is the author of Jewish Literacy, the most widely read book on Judaism of the past two decades. Another of his books, Words That Hurt, Words That Heal, was the motivating force behind Senators Joseph Lieberman and Connie Mack's 1996 Senate Resolution #151 to establish a "National Speak No Evil Day" throughout the United States. Rabbi Telushkin serves as a senior associate of CLAL, the National Jewish Center for Learning and Leadership, and is the rabbi of the Los Angeles-based Synagogue for the Performing Arts. He lives with his family in New York City and lectures regularly throughout the United States.